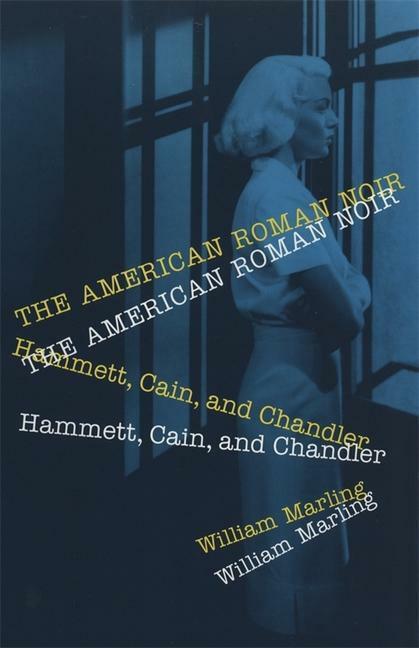 In the American Roman Noir, William Marling reads classic hard-boiled fiction and film in the contexts of narrative theories and American social and cultural history. His search for the origins of the dark narratives that emerged during the 1920s and 1930s leads to a sweeping critique of Jazz-Age and Depression-era culture, integrating economic history, biography, consumer product design, narrative analysis, and film scholarship. Taking a closer look at noir classics by Dashiell Hammett, James M. Cain, and Raymond Chandler, Marling reads these narratives first as novels, then as films, showing how they helped Americans adapt for better or worse -- to a society driven by economic and technological forces beyond their control. William Marling is an associate professor of English at Case Western Reserve University. His books include "Raymond Chandler" and "Dashiell Hammett."